White Week: the wonderful Italian tradition of taking a week in February to enjoy the mountains, snow, and skiing. 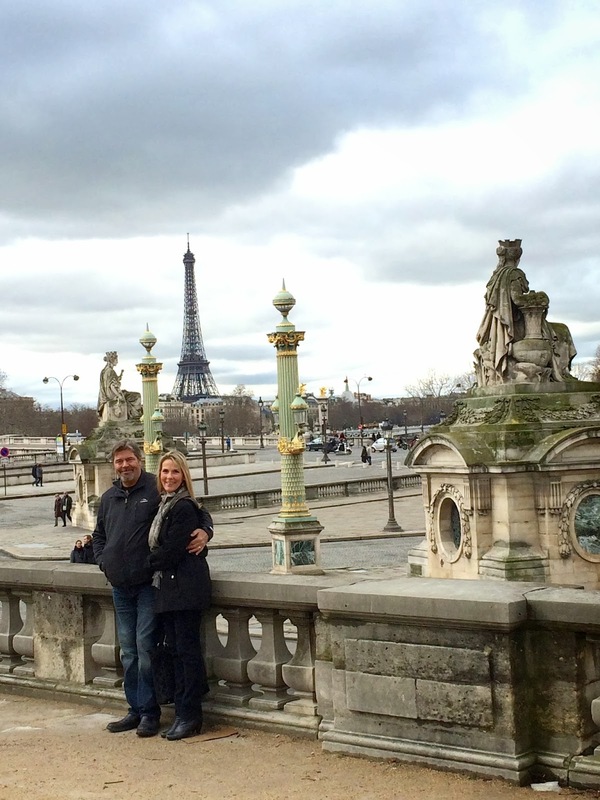 My parents and I spent the first half of the week not-skiing in the City of Lights, Paris. Since my last visit while studying abroad, I've said that Paris is my favorite city in the world (other than Granada, of course). This time I still adored it but the feeling was different. At first I couldn't put my finger on why, but I've figured it out; Paris is elegant and regal with a polished charm. Its beauty and impressiveness take your breath away, but I missed Italy's warmth, hospitality, and character. Still, I would go back in a heartbeat and enjoyed every second of the visit. 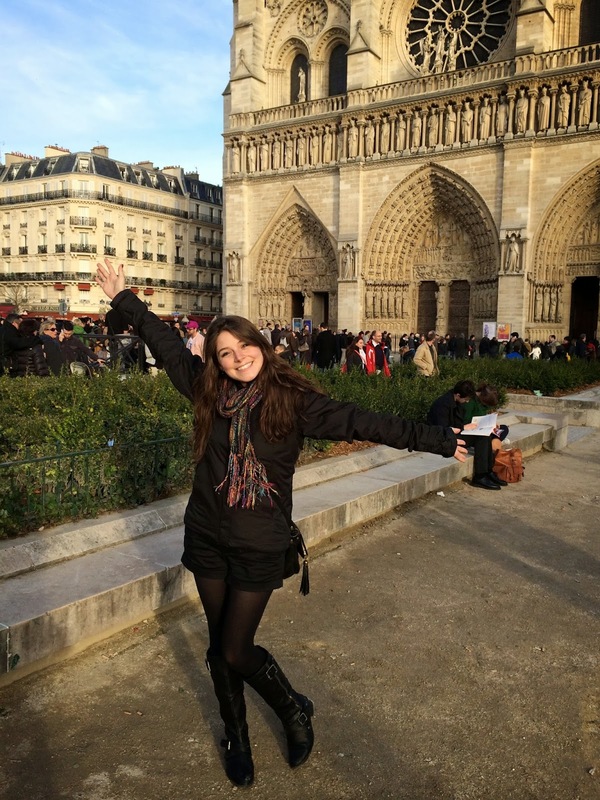 On our first day, I discovered what at the time I thought was my favorite French food: Croque. It was basically just an open ham, cheese, and tomato sandwich but YUM. So good! It didn't end up being the all-time French favorite though; Millefuille a la Vanilla Bourbon from Angelina's. Oh my God. Anyways... after breakfast, we came upon the Louvre, walked through the courtyard, and strolled through the Tullierie gardens. We ended up going into the Musee de l’Orangerie. Being surrounded by wall-sized Monet paintings was an unforgettable experience. I just started writing about that scene from Clueless with the Monet comparison, but then remembered that I said that in another post. So go back to that one, review, and understand that in large scale, with paintings I had seen in calendar form since I was a little kid, the overwhelming feelings were even more intense. Coolest shadow of all time. The trip was too full to go day by day, so I’ll just cover a few of the highlights. 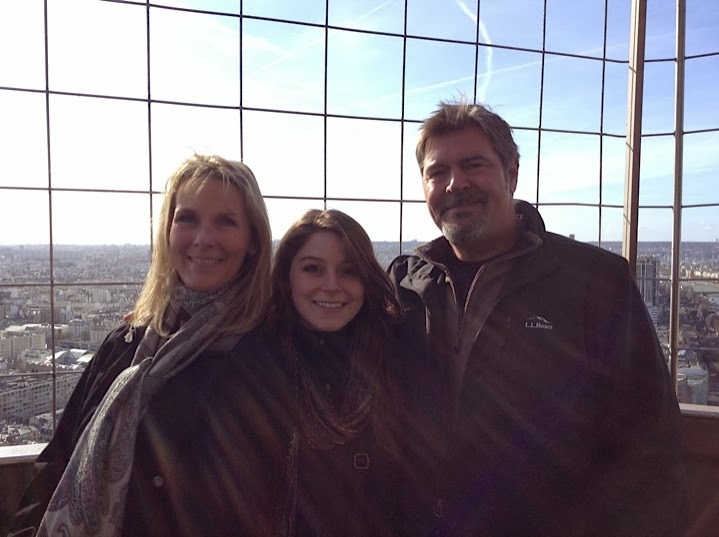 My parents and I went with a guide to the second floor of the Eiffel Tower. I don’t love the idea of a guided trip, with each day planned out and being stuck with a group for days, but I’m finding that I really enjoy short, guided tours. First of all, we skipped the 3-hour line to the elevator. 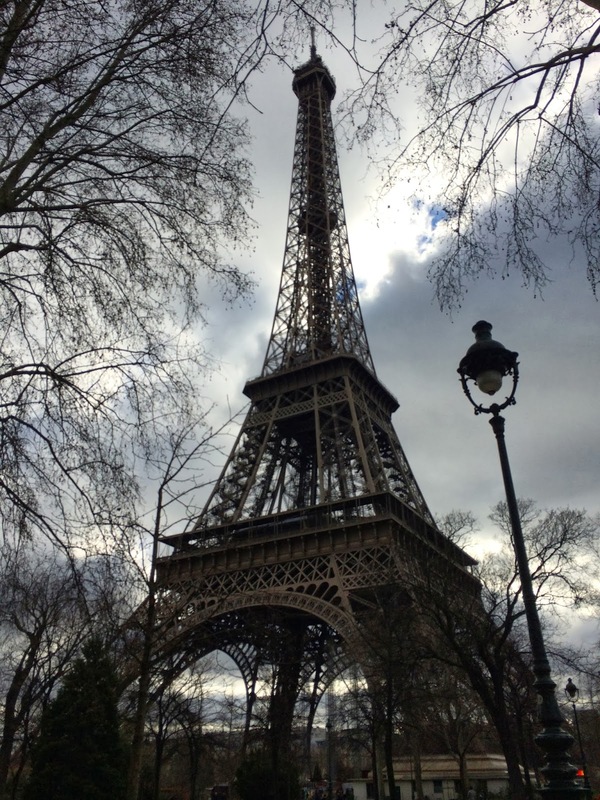 Our guide was full of interesting, informational, humorous anecdotes about the Eiffel Tower, Paris, and France. For example, who even knew that some tricky trickster successfully scammed someone into buying the rights to tear apart the Tower and use the scrap metal? Twice! Our guide had a good sense of humor about the French, but was so obviously proud of his heritage. He explained the history of the city as well as what the different buildings and monuments were that we saw from each side. We had a beautiful view, and couldn’t have picked a nicer day for the experience. I think this one is Lavern. On my 6th birthday, my family and I went to see “The Hunchback of Notre Dame” in the theater. I’m still a sucker for Disney movies and am lucky to have the teacher-excuse of having to keep up with kid culture so I can keep watching them (we all know I would no matter what). Throughout the whole trip, I bugged the heck out of my parents to watch the movie again with me. As lame as it sounds, seeing the Notre Dame in cartoon form got me so pumped to see it again in real life! We went through the inside on our first day, but the climb to the top was closed. The stained glass windows were stunning, as well as the architecture. It always amazes me that so much was possible before all of the modern building tools we have today. 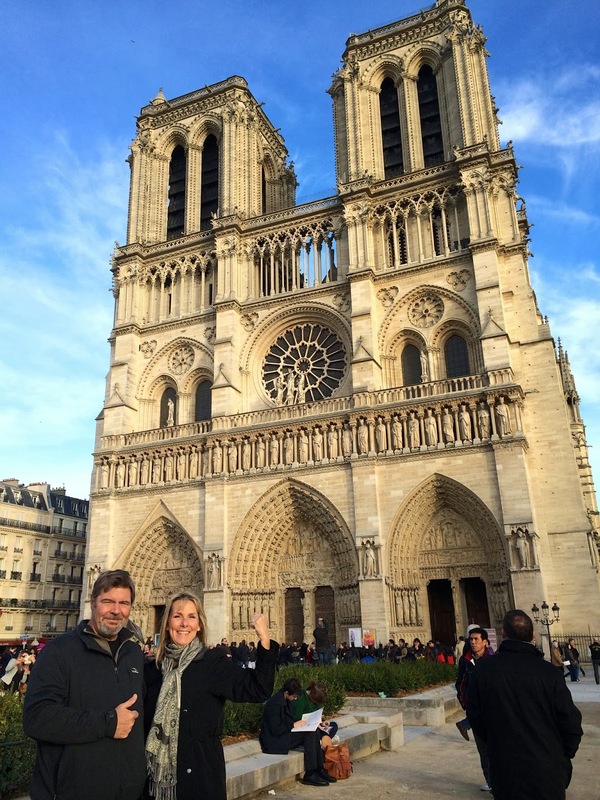 We went back the next day and waited patiently to climb nearly 400 steep, spiral steps to get to the towers. Every step was worth it. 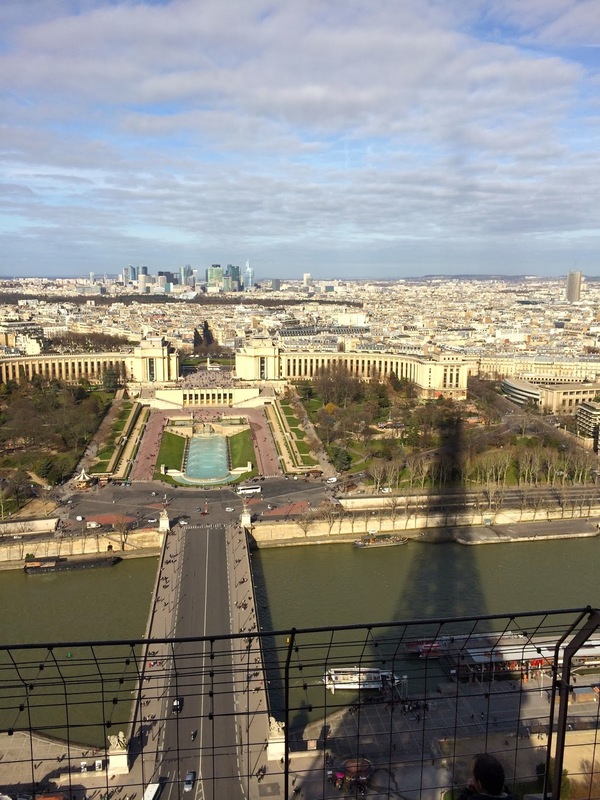 The view was even better than from the Eiffel Tower, possibly because the Eiffel Tower was… you know… in the view. 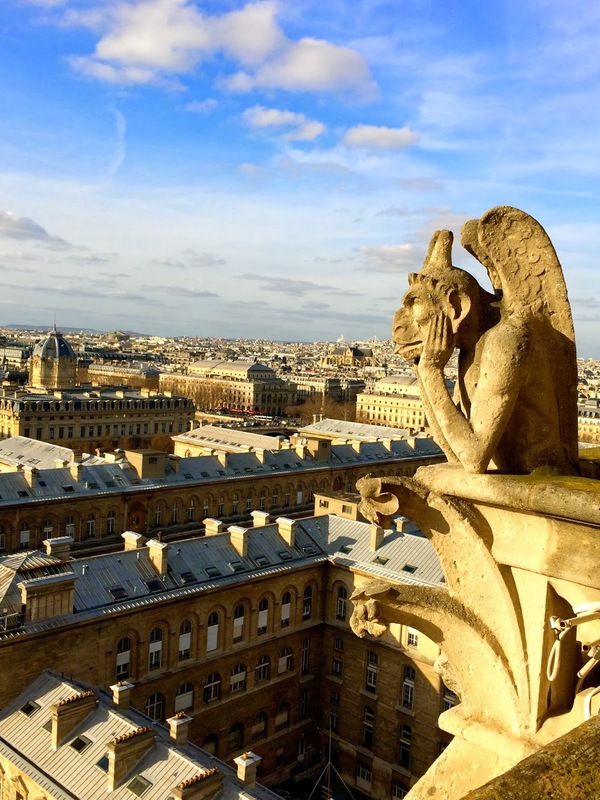 The gargoyles were a ton of fun to see! In elementary art class, we studied gargoyles and then made our own out of clay. I was a persnickety little weirdo (I'm sure, knowing me now, you'd never believe that I was a weirdo) and didn’t want to make something ugly so I made an angel sitting on a cloud instead. Now, however, it was so cool! I wished that they would get up and sing to me about being shaped like a croissant or something. Give me one dayyyyyyy out thereeeeee! 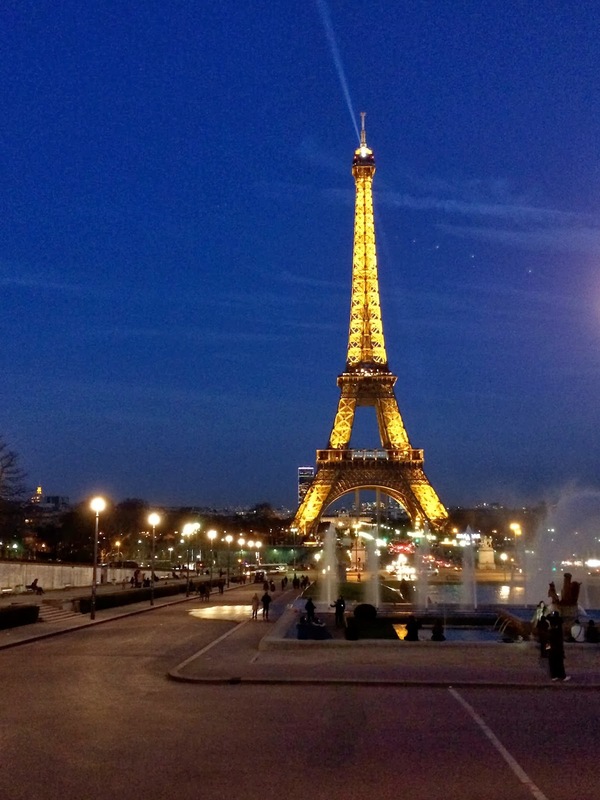 At some point while I’m living in Europe, I’d love for the chance to spend a few weeks in Paris and soak it all in. 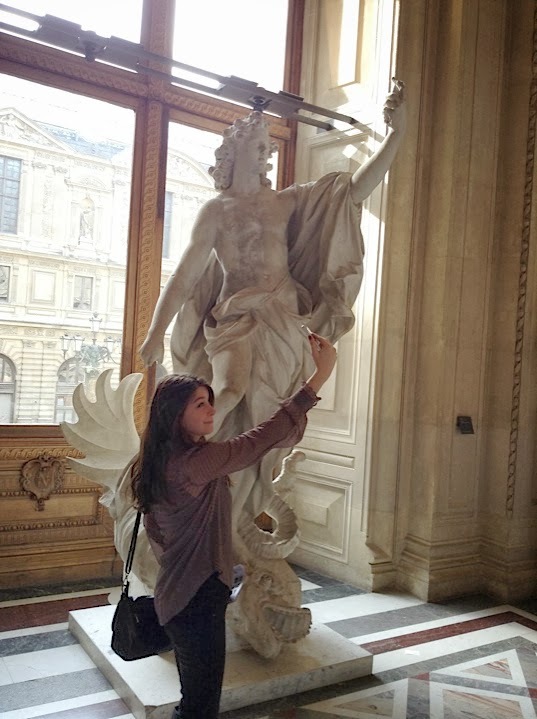 If I ever get that chance, I fully plan on spending part of every single day in the Louvre. I could spend years exploring the halls. Every turn you take through the museum leads to another mind-blowing piece of art that you didn’t even know you knew. As much as I loved every bit, my absolute favorite is the statue of Cupid and Psyche. It seems so graceful and delicate, as well as so romantic. Other highlights included the Venus de Milo, The Consecration of the Emperor Napoleon and the Coronation of Empress Josephine, and, obviously, the Mona Lisa. 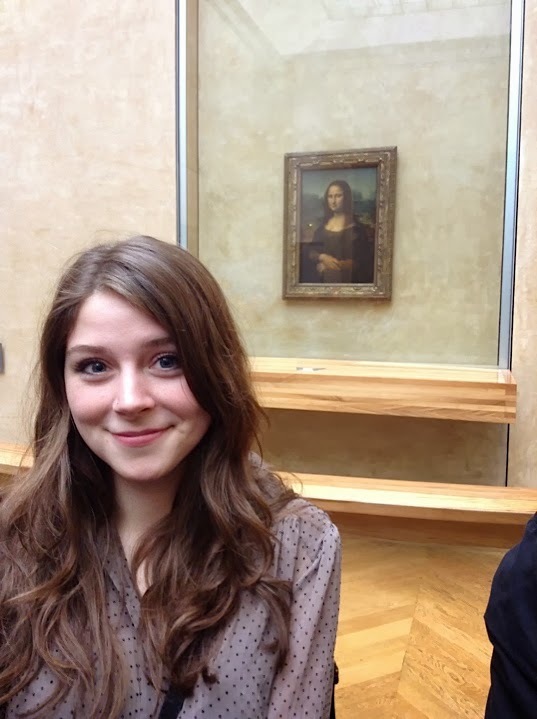 I tried my hardest to do a Mona Lisa smile with her, but there’s a reason she was painted; that mysterious little smile is really hard to do! The Napoleon Apartments were also fabulous. They were so over the top and ornate, it makes you think what it would be like to actually live like that! Smiling mysteriously is tough stuff! The Hall of Mirror's was incredible! 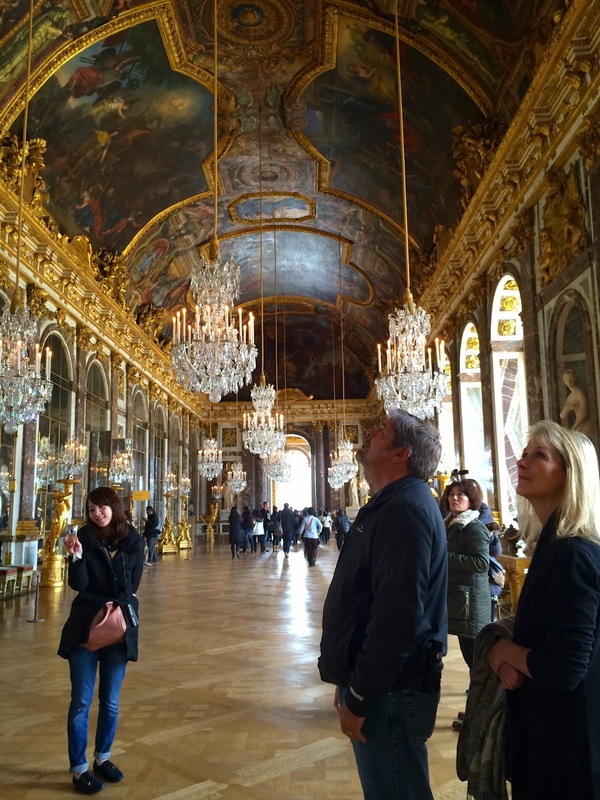 We also visited the Palace of Versailles. Unfortunately, it was rainy and cold so we weren’t able to see the gardens. Really though, can you call it unfortunate when you get to spend a day tracing Marie Antoinette’s steps? Getting there was a little bit of a fiasco. After going on and on about how easy the Paris Metro was to learn, we got on the wrong train and ended up going an hour in the wrong direction, had to turn around, and try again. Just another adventure! Anyways, it was fascinating to see how such well known historical figures lived, especially ones during such an interesting period of time. Our Eiffel Tower guide told us that an easy way to remember the later Louises (Louis’s? I don’t know how you’d spell that) is that when it comes to Versailles, Louis XIV built it, Louis XV enjoyed it, Louis XVI paid for it. Easy enough if you remember what number to start with! 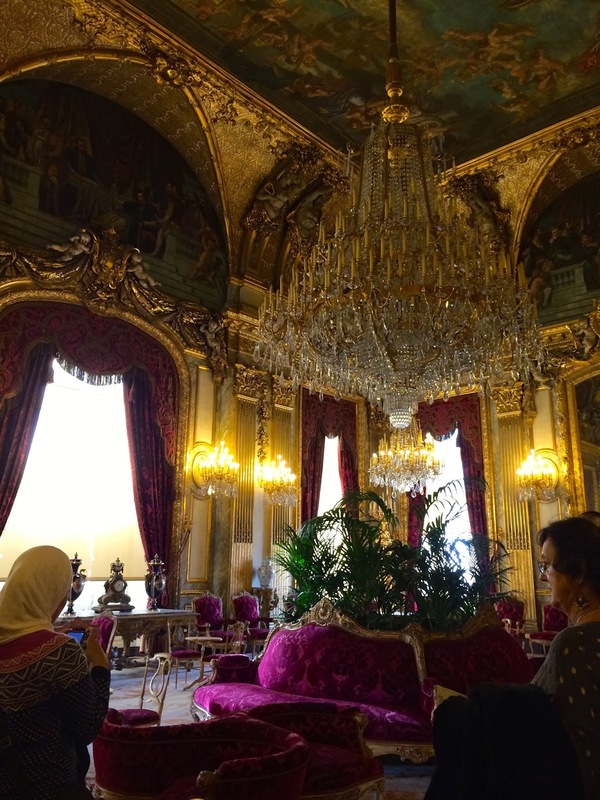 The most breathtaking room is, of course, the Hall of Mirrors, but I also loved being in Marie Antoinette’s bedroom. Just like with the Napoleon Apartments, it’s wonderful to think about how they must have lived. But while living in such splendor sounds amazing, it must have also been overwhelming and exhausting. To be woken up to a rising ceremony (surrounded by people), eating the “Grand Public Supper” with an audience, and being basically put to bed and tucked in, again with a room full of people, I can’t even imagine how you ever felt… rested. I spent the day in sweatpants and a sports bra. I am eating my dinner on the couch as I type this post and watch Hart of Dixie. I couldn’t ever handle being on display at all times and don’t know if I could give up alone time, even if it meant getting to live in the Palace. Anyways, Paris remains one of my favorite places in the world and I feel impossibly blessed to have seen it with two of the people I love most in the world. As always, I feel like I have so much to read about and research after seeing all that I saw.